Blinky Wearables From a Maker Brunch #WearableWednesday « Adafruit Industries – Makers, hackers, artists, designers and engineers! I spied some pics on my friend Niki Selken’s Facebook that had me ready to move to NY. Apparently she and some of her blink blink friends got together for a maker brunch. I don’t think they decorated mocktails with LEDs, but they certainly made some cool stuff. 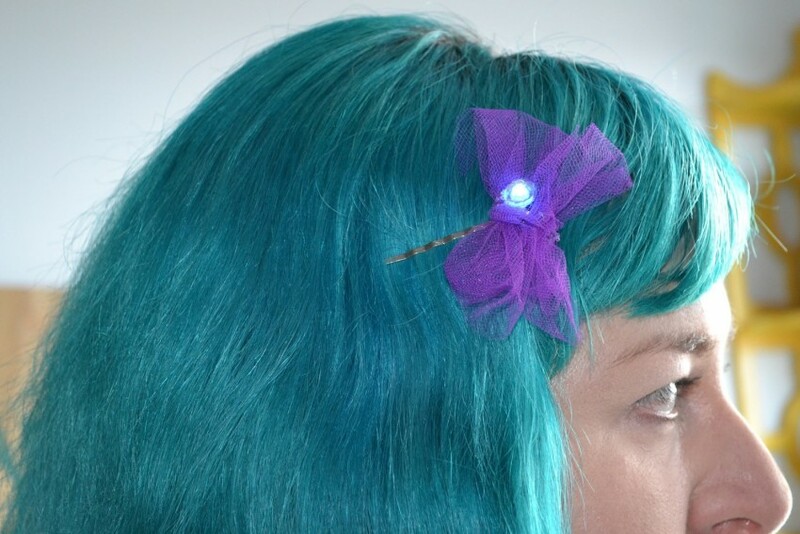 That’s Niki glowing in the pic sporting her cute tulle LED clip. Apparently the brunch gathering was formed by Liza Stark, Parsons teacher and soft circuit wiz. She thinks New York needs to have an ongoing craft technology practice, so this may be the first in a series of fun events. Count me in–I’m Boltbus friendly! 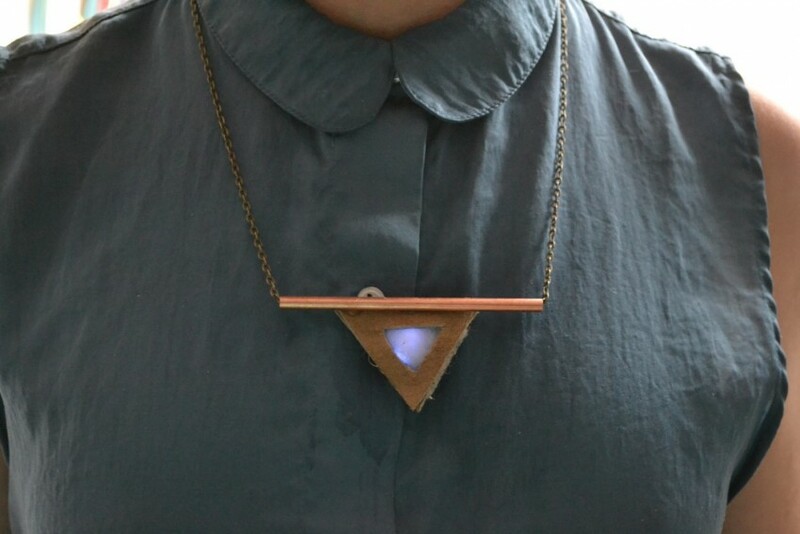 This mod necklace uses felt to diffuse the LED (pro tip–keep white felt in your toolbox). I love the use of skinny copper pipe on here too, especially since as a soft circuit fan I’m always using copper tape. 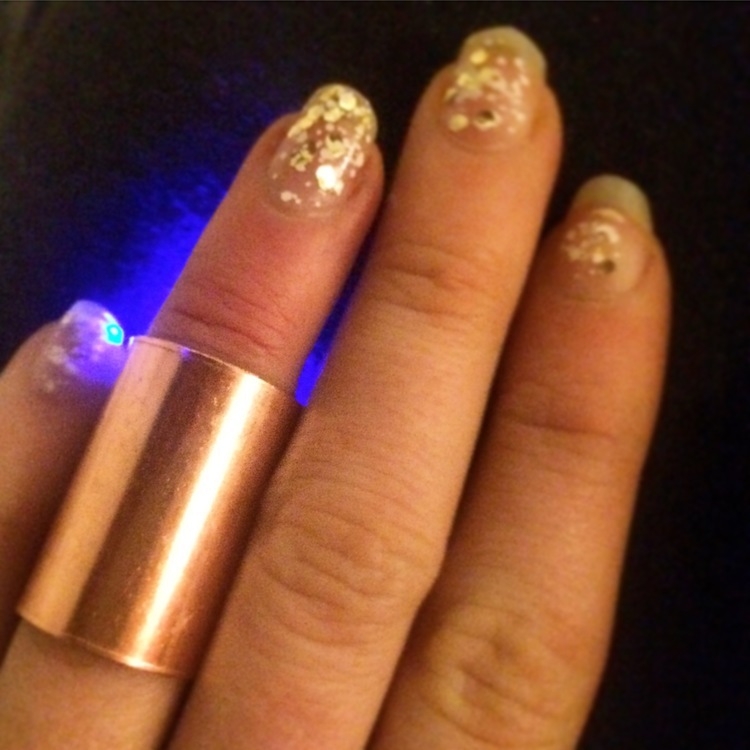 Speaking of copper pipe, it also makes a nice ring with a superhero secret glow. The important thing about crafting is to have a bunch of different materials on hand for experimentation; you might have friends bring over some of their own supplies and trade. Unlikely combinations will form and really bring about something fab. One of the more interesting experiments involved using magnets to hold the legs of an LED onto a coin cell battery. It shorted the circuit, but as they say in making, failure is always a success. Doesn’t all of this collaboration and mash-up of materials make you want to throw your own soft circuit brunch? Well, get started by reading our Candle Flicker Bow tutorial. Once you understand a simple LED circuit, you can create almost anything that lights up. Have fun and don’t forget to bring some fresh herbs for some interesting morning drinks. Making and food hacking go hand in hand.